The magazine will be coming out shortly. It is the May/June issue. It will have the same award announcement and also an abbreviated interview. 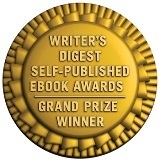 The next book will be available just in time for that contest. What do you think, Bernie? Are you up for it? 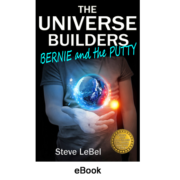 This entry was posted in Book Awards & Honors, Interviews - Steve LeBel, News. Bookmark the permalink.